Facial beauty plays an important role in making your appearance pleasing and lovely. However, some factors ruin the beauty of your face. Age spots problem is one of such factor that ruins your beauty. Age spots occur as a result of overproduction of melanin. Melanin is a skin pigment which is known for managing complexion of the skin. Excessive production of this pigment results in the development of age spots. Age spots can be referred to as gray, black or brown spots on your skin. These spots can be noticed on the sun-exposed parts which include shoulders, upper back, forearms, and back of the hands. These spots are also known as sun spots or liver spots. Fortunately, age spots can be effectively handled by taking special care at home. There are some effective home remedies that help in lightening the age spots naturally at home. Lemon juice is popularly known as a natural bleaching agent  . Applying lemon juice on the affected area helps in lightening the age spots. Vitamin C and citric acid are rich in lemon. At the same time, lemon is said to be antibacterial in nature. These qualities help in managing various skin issues including age spots. But, when you follow this remedy, make sure to stay away from the sun for at least one hour. Apple cider vinegar is rich in skin nourishing properties  . Elements in apple cider vinegar help in balancing pH levels of the skin. For managing age spots, you need to apply acv directly on the affected area. You should not dilute acv for noticing the best results. Undiluted acv helps in lightening the age spots. You need to follow this remedy for several times a day for at least a couple of weeks. Castor oil provides countless cosmetic benefits  . It is not only good for your health but also good for your skin and hair. This oil is used for moisturizing, cleansing, and toning your skin. In addition, this oil is very helpful in managing age spots. All you have to do is to mix this oil with baking soda. Apply the mixture on the affected area. This process helps in alleviating the age spots. 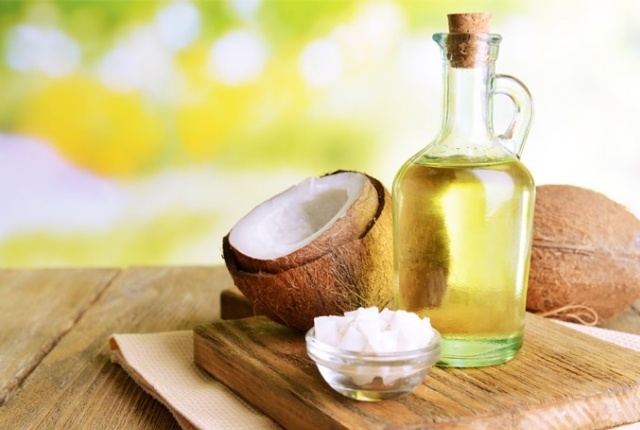 Coconut oil is an age old remedy for handling various skin issues  . This oil is rich in antibacterial properties. At the same time, skin lightening properties are plentiful in this medicated oil. All you need to do is to rub the coconut oil on the affected area for a few times a day. This remedy is free from side effects. Furthermore, you can notice the best results very quickly. Honey is a natural bleaching agent. Similarly, yogurt is rich in moisturizing properties  . Both of these help in lightening the age spots and thereby assures you a spotless skin naturally at home. Mix these ingredients well and apply the mixture on the age spots. Massage gently for few minutes. Follow this process for once a day for noticing the best results. Papaya is a delicious fruit with lots of health benefits . Also, this luscious fruit is rich in cosmetic properties. Papaya contains an enzyme called papain. This enzyme is good for handling age spots. Papain helps in fighting age spots and brightens the skin. Apply the paste of papaya on the affected area for once a day for several days. This process helps in managing the issue with ease. Onion juice is considered as a natural antiseptic that helps in protecting our skin from harmful bacteria. In addition, onion juice is an effective remedy for handling age spots  . Mix it with vinegar and apply it topically on the affected area. You should be able to notice a great difference within six weeks.